The 49th Union World Conference is a conference by the International Union Against Tuberculosis and Lung Disease on lung health. They will especialy focus on human rights. They will declare Social and Political Solutions highlighting the essential need for a human rights approach and greater political commitment to eradicate TB and reduce the global threats of tobacco use, air pollution and other lung diseases. This years conference will be hosted by The Hague and KNCV Tuberculosis Foundation on 24-27 October, 2018 in The Netherlands. On the eve of the conference, the 7th president's centennial diner will be held in the riderzaal. It is a rare honour to have access to this venue – and one that The Union has enjoyed before. In 1932, the Ridderzaal hosted the opening ceremony of the 8th Union World Conference on Tuberculosis and was attended by Her Majesty Emma, the mother of Queen Wilhelmina, and His Royal Highness Prince Hendrik. Her Majesty Emma was patroness of KNCV Tuberculosis Foundation, and fully committed to the fight against disease, having lost her sister Sophie to tuberculosis (TB). We as a company will also be at the event. 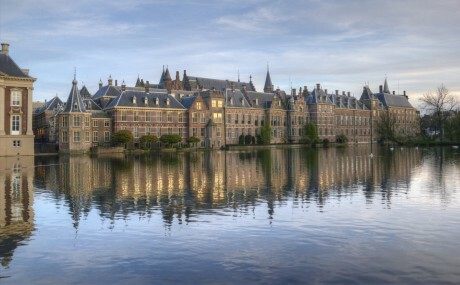 We are very happy and proud of the fact that the conference will be hosted by the Hague. A statement from the Municipality of The Hague said: "We are very proud to host this conference, which is perfectly aligned with the international image of The Hague as the city of peace, welfare and justice."